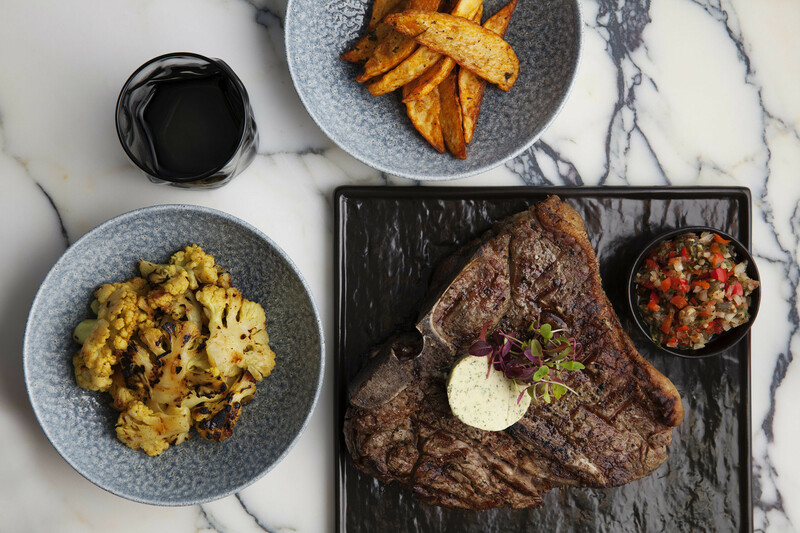 The newest member of the SLOW family is The Course, an elegant restaurant and bar diagonally opposite the Sandton Gautrain Station. The SLOW brand has already distinguished itself as the must-access airport lounge for those with refined tastes in both their surroundings on what goes on their plate. From launch the SLOW lounges and SLOW in the City, a Sandton workspace, initially restricted to particular loyalty programmes but now open to the paying public, have conveyed a five-star sense of style and cuisine. The interiors are signature, as all spaces have been designed by local award-winning design duo Tonic who are the masters of contemporary furniture and interior design. 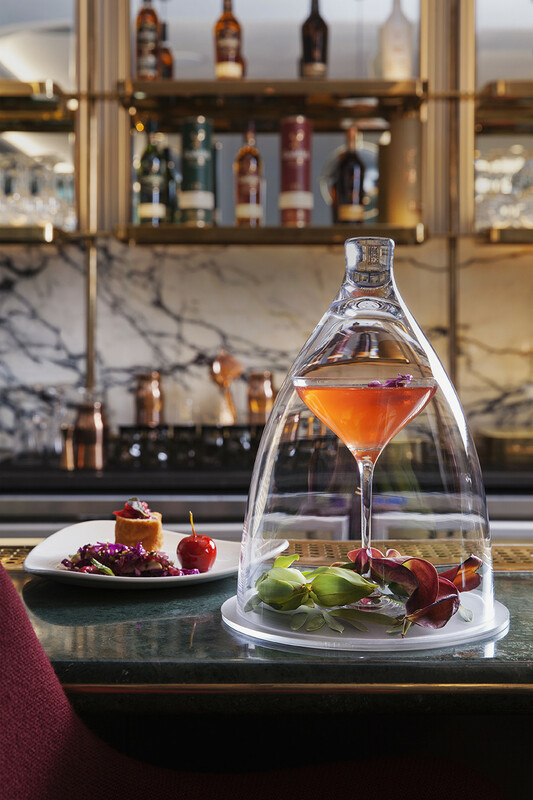 Marble table tops, velvet couches and leather-seated chairs in vivid colours, The Course is beautifully designed with a range of spaces from small cosy and romantic window tables to a long table for family sharing and a plush lounge area at the bar. There’s also a wraparound deck for watching the Sandton gridlock not pass you by as you sip speciality cocktails paired with small plates or enjoy breakfast, lunch or dinner. 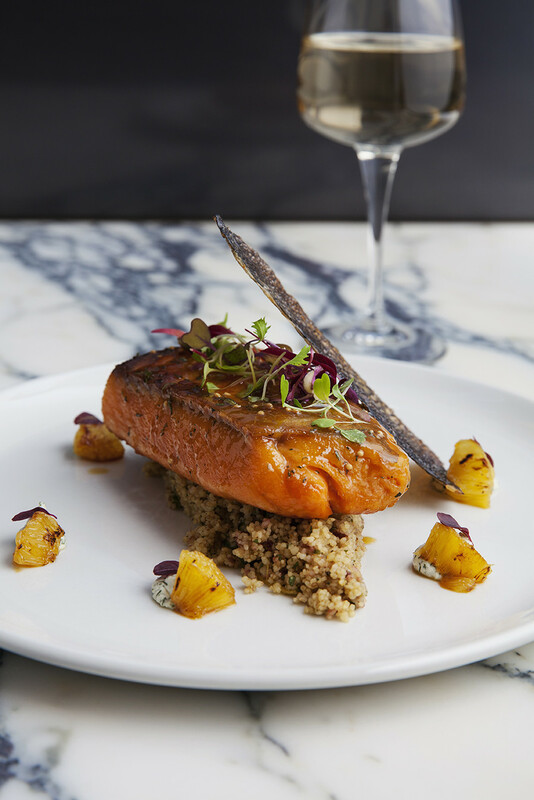 The menu is wide-ranging, and dishes are beautifully plated. 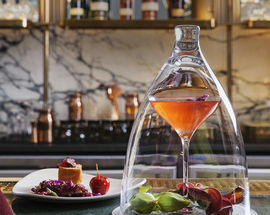 A lot of effort has gone into the drinks menu with a resident mixologist and there’s a large range of classic and more contemporary cocktails, plus a small and expensive wine list. 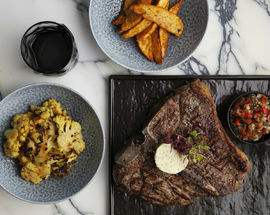 The menu makes use of seasonal produce but staples include a choice of tapas-style plates as well as prime beef cuts (including a 1kg T-bone Florentine that gets wheeled to your table on its own custom-designed marble-topped trolley), salmon, tuna, a classic peri-peri chicken and other bistro-style dishes. There are sharing platters or planks, of meats or vegetables as well as salads. 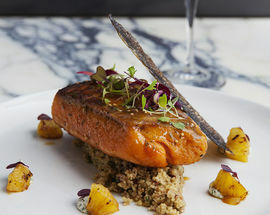 If you are there for dinner, sample the dishes on The Quarterly Reserve, a menu specially designed to complement a particular liquor brand with novel cocktails and interesting food pairings. Glenfiddich is the star of the winter Quarterly Reserve menu and there is talk of a gin brand for the Spring menu. You can sample some dishes as starters and then move on to the main menu. We tried Through The Orchid, a 12-year-old Glenfiddich with a pear tea syrup and caramel bitters topped with soda which came with a superb small plate that contained a goats cheese wonton served with micro greens, oak smoked pear and salted caramel hazelnuts. An exceptional dish. On the main menu the tuna tacos small plate was a generous and tasty serving of marinated tuna, while the main dish of mustard and maple-glazed salmon was perfectly seared and made for a delicious combination of tastes and textures. While it’s all highly recommendable the award goes to the most show-stopping chocolate dessert – a warm chocolate brownie with candied walnut crunch and butterscotch sauce served with a dollop of vanilla ice-cream. 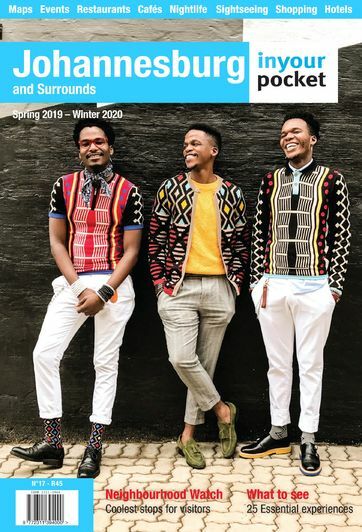 As the brand suggests, it’s worth taking it slow, something that is often lost in Sandton, a part of town more associated with the rush and bustle of Africa’s financial capital than easing back, taking your time, and just enjoying being. Open 07:00–21:00, Sat 08:30–21:00. Closed Sun.